Director – Brad Anderson, Screenplay – Scott Kosar, Producer – Julio Fernandez, Photography – Xavi Gimenez, Music – Roque Banos, Digital Effects – Filmtel S.A. (Supervisor – Jaume Vilaseca), Makeup Effects – Esther Villar, Prosthetics – RHK Efectos Especiales, Production Design – Alain Bainee. Production Company – Castelao Productions/Canal + Espana/ICAA/ICF. Trevor Reznik has not been able to sleep for a year and has lost so much body weight that he is a gaunt skeleton. At the factory where he works as a machinist, Trevor accidentally bumps against a start button, causing a co-worker to have his arm chewed off in a machine. During the safety investigation, Trevor tells people that he was distracted by the new replacement welder Ivan – only to then learn that there is no such person working in the factory. Trevor follows the mysterious Ivan and tries to obtain proof that he does exist. At the same time, someone is leaving taunting games of uncompleted Hangman on Trevor’s fridge door. Trevor finds he is starting to lose grip on reality – a photo that is evidence that Ivan is real disappears and the number plate on Ivan’s car is found to be the same one as on a car that Trevor reported stolen, while some of the people around Trevor may not even exist. Director/writer Brad Anderson is someone who is starting to emerge as an increasingly strong genre voice. Brad Anderson first appeared with the slacker comedy The Darian Gap (1996) and then found indie acclaim with the offbeat romantic comedy Next Stop Wonderland (1998). Anderson subsequently ventured into genre territory with the clever and underrated time travel romance Happy Accidents (2000) and then the psychological thriller Session 9 (2001), which built up a slow cult acclaim in video release, and then subsequent to this the thriller Transsiberian (2008), the Last People on Earth drama Vanishing on 7th Street (2010), the 911 call thriller The Call (2013) and the asylum horror Eliza Graves/Stonehearst Asylum (2014). Brad Anderson gained even wider exposure with the festival and arthouse success of The Machinist. The screenplay for The Machinist comes from Scott Kosar who also wrote the remakes of The Texas Chainsaw Massacre (2003), The Amityville Horror (2005) and The Crazies (2010), as well as produced tv remakes such as Bates Motel (2013-7) and The Haunting of Hill House (2018). The Machinist is difficult to pigeonhole as being either a horror film or a fantasy film, even though it definitely slots into genre territory somewhere. You could perhaps call it a blend of one of the modern reality benders – I was particularly reminded of the reality disjunctions of Open Your Eyes (1997) – and of Don’t Look Now (1973), the classic film about precognition where director Nicolas Roeg wove the film on a subliminal level, knitted together by pieces of visual symbolism that kept mapping over onto each other. The other film one was reminded of a great deal was David Cronenberg’s The Fly (1986) and its portrait of a man slowly physically transforming into something else – where The Fly had Jeff Goldblum becoming a human-fly hybrid, The Machinist in very similar ways focuses on the grim psychological portrait of seeing Christian Bale wasting away to physical anorexia. 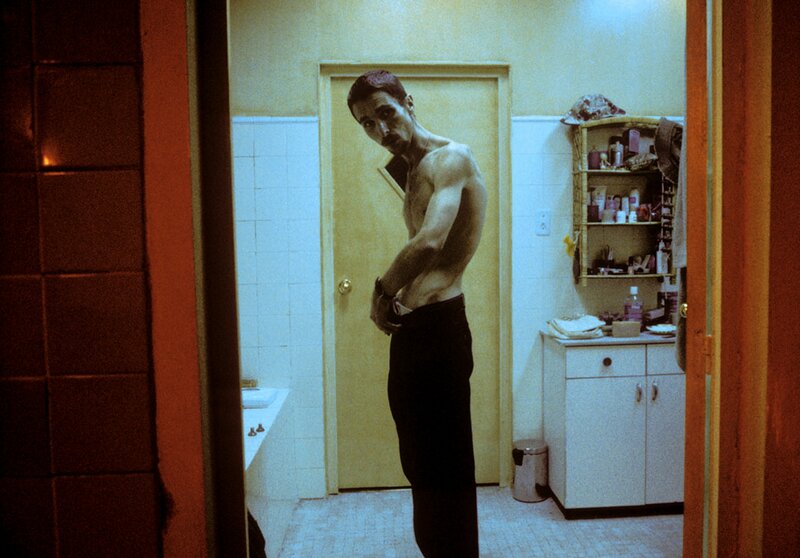 The Machinist is a film that draws you into an oppressive state of mind. You could perhaps see it as akin to the relentless internal psychosis of something like Darren Aronofsky’s Pi (1998) or the existential nightmares of Franz Kafka. At the centre of the film is Christian Bale’s performance. It is an extraordinary performance that Bale gives wherein he underwent a diet that consisted only of a can of tuna and an apple a day and ended up losing 63 pounds (some third of his entire body weight) for the role. It is the type of intensely physically transformative performance that we have not seen on screen since Lon Chaney [Sr] in the silent era. Brad Anderson takes full opportunity to show Bale’s gaunt, hollowed frame on screen. The film is shot in unglamorous, washed out tones that seem to highlight the unhealthy pallor of skin. The early scenes with Christian Bale dressing where we see his ribcage like a sunken shell, the ridges of his spine protruding like metal rivets, the muscle simply hanging on his skeleton while he lies in bed make for uncomfortable viewing. The effect is something akin to Tod Browning’s Freaks (1932) where it is abundantly clear that what we are seeing on the screen is not makeup effects trickery but the real thing. 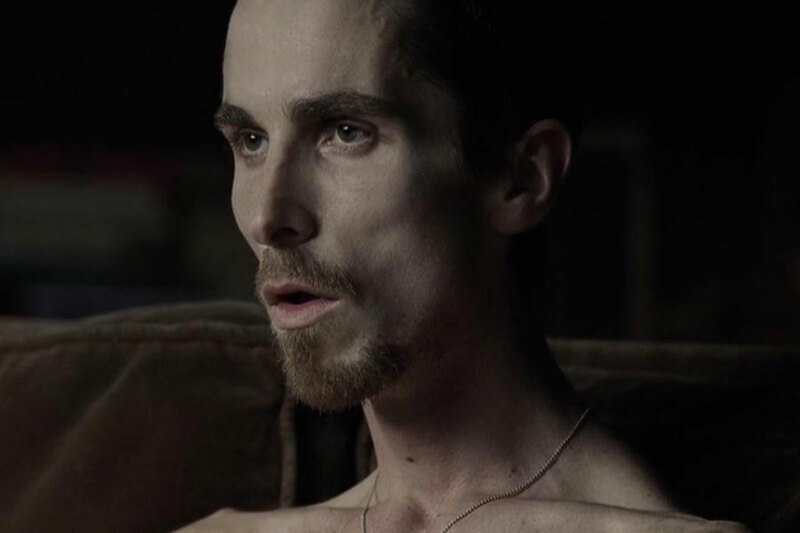 It is the hollowness and suffering that comes through Christian Bale’s performance that permeates the entire film – take that away and The Machinist would be clever but unmistakeably the lesser. The rest of The Machinist takes place in a strange nether-realm where you cannot be sure what is real and what is subjective hallucination. Things seem to take place on a strange level of interconnected symbolism. Everything in the film is echoed at some other point – the recurring icon of the tower in the background, the characters with mutilated hands, the right/left pathways leading to hell or redemption, pieces of dialogue said by one of the women that are later mimicked by the other. The Machinist is a film that is likely to lend itself to multiple readings upon further re-viewing. The constant reality blurrings that Brad Anderson keeps throwing at us leaves one in intensely weird territory – the jolt revelation that Ivan does not work at the factory, the disappearing photo and then the insistence that the person in it is Christian Bale, the moment the police return to inform Bale that the owner of the number plate is himself. Brad Anderson’s ability to keep the audience off guard here is certainly adept, although one sat through the reality blurrings wondering if it was all going to make eventual sense or it was just going to be something akin to say Last Year in Marienbad (1961) or Robert Altman’s Images (1972) where the goings-on only transpire on a surreal level. Happily to say, Brad Anderson and Scott Kosar do eventually unite the show and the play of symbolism together in a surprise final revelation. (Winner for Best Actor (Christian Bale) at this site’s Best of 2004 Awards).